We’ve seen some great football boots come worn by professionals who have created their own footwear on Nike and adidas’ customisation services, with the likes of Steven Gerrard, Clint Dempsey, Robbie Keane and Marcus Hahnemann all taking to the pitch in their own custom cleats. Now, LA Galaxy star Omar Gonzalez has definitely created some of the best yet! 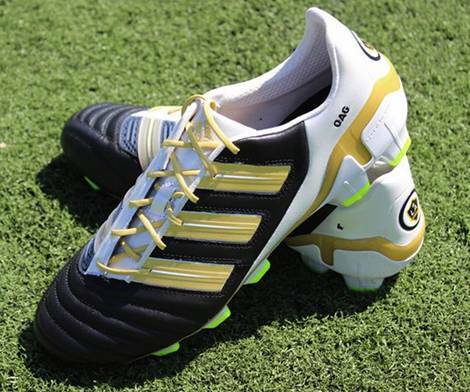 The MLS All-Star defender has taken quite a shine to the new adidas adiPower Predator since it’s release in May – and has the distinction of being one of the few Pro’s to wear the White/Sharp Blue/Black version, which isn’t meant to have any on-field support by players. This discerning choice in colourway clearly tells us Gonzalez is a man of exceptional football boots-taste, and it’s something that he’s proved with his very own mi adidas adiPower Predators! 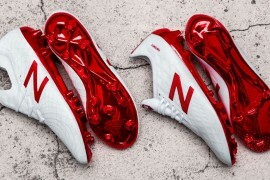 In the same vein as adidas’ campaign with Steven Gerrard and the Predator_X last season, adidas have offered Gonzalez the chance to whip up a pair of unique football bootsto wear on the pitch as the MLS campaign rattles on. 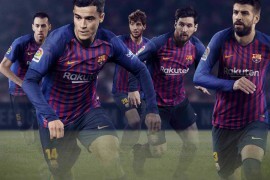 This is a rare honour, indeed, as the biggest brands in football always like to have their players taking to the pitch in colourways that are available to consumers (otherwise every player would want custom boots!) but the marketing bods at adidas obviously reckon having a player showing off the capabilities of the mi adidas adiPower Predator will whip up some interest in the service! Gonzalez says in the video above he took inspiration from the LA Galaxy’s recently-released 3rd kit, which is a stunning combination of deep, deep indigo and gold; a combination reflected in these bespoke adiPowers. 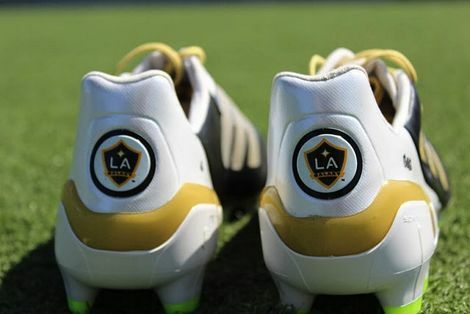 As well as the Black/Gold/White colourway, the former MLS Rookie of the Year also added some neat touches of his own; including his initials and number on the heel counter, and the LA Galaxy crest on the heel of both boots, in place of the adidas logo! The 22-year-old Texan becomes the second Galaxy player to wear a pair of bespoke adidas adiPower Predators this season, after team-mate David Beckham sported a White and Pink pair to mark the birth of his daughter, Harper Seven. 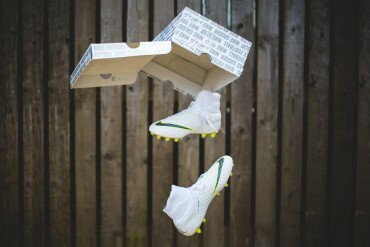 What do you think of Omar’s football boots? They look great! 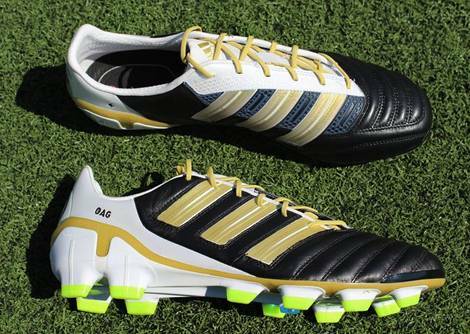 Adidas should take a note of these and release them as a future colourway to the public. So classy! Although I don’t like the colour of the studs, doesn’t match the boot at all, but I guess you can’t change that on Mi Adidas. The radioactive-puke green studs absolutely ruin the whole effect of these boots. Awesome color scheme, EXCEPT for those ridiculous studs. 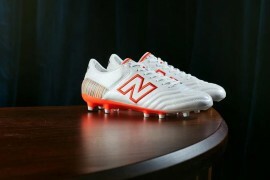 Beautiful boots but I hate the studs.